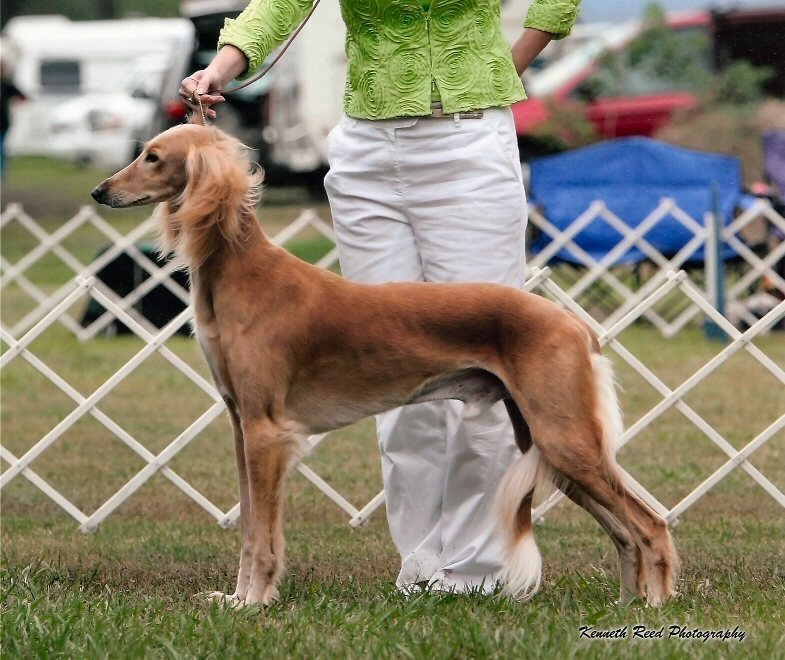 Prophet is the only saluki to be a Best in Show, Best in Field and High in Trial winner. 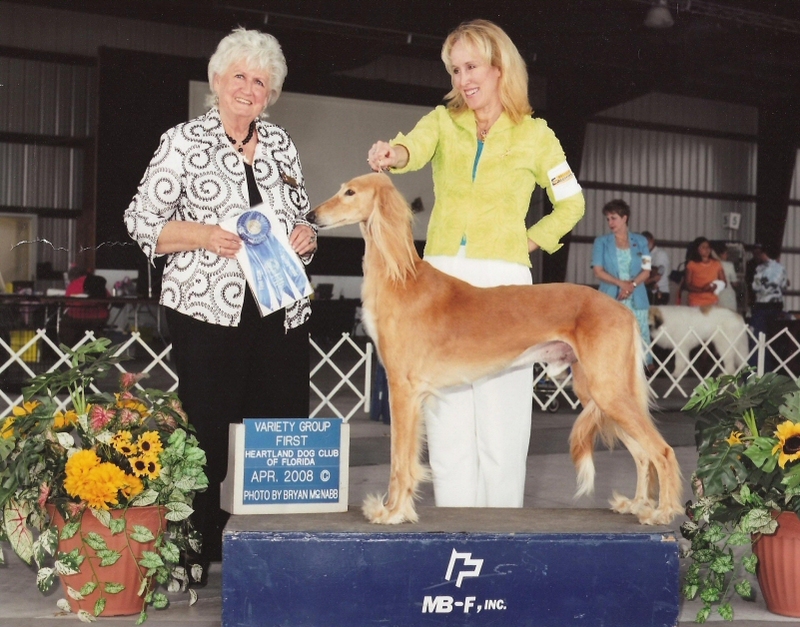 His High in Trial was won in obedience (He actually won two, both at the Saluki National). 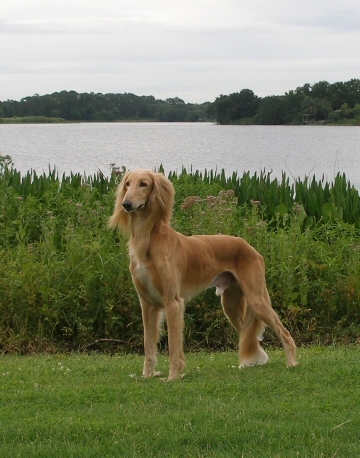 He is a multiple-winner of the Triathlon at the National. 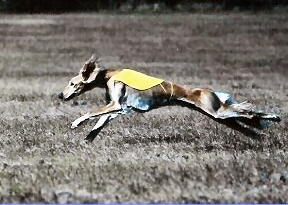 He won several Bests in Field. 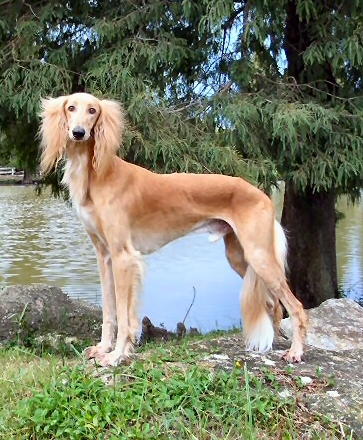 He was a top-10 conformation saluki for three years, and the #1 obedience saluki one year. 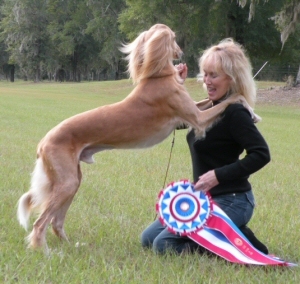 He won two Specialty BISs at 9 1/2 years of age, and won three more 5-point majors to finish his GCh at age 11, with all BOBs. He was always owner-handled throughout his career. Prophet has always been an eager learner, and enjoys learning tricks and playing mind (and nose) games. 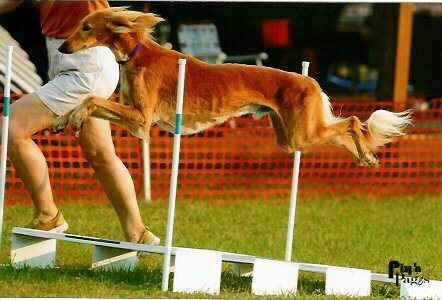 He is a talented agility dog at home, but froze up at trials! Prophet is one of our all-time most compulsive hunters and has tackled deer and raccoon, among others, to my dismay. 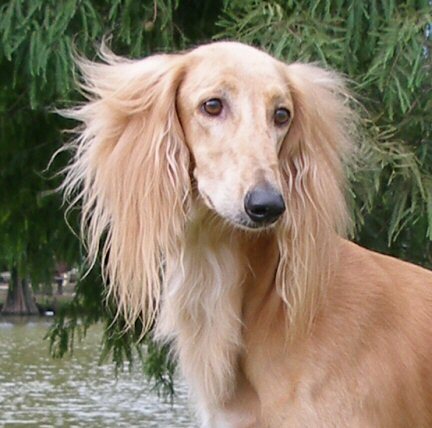 He is the sire of two litters. 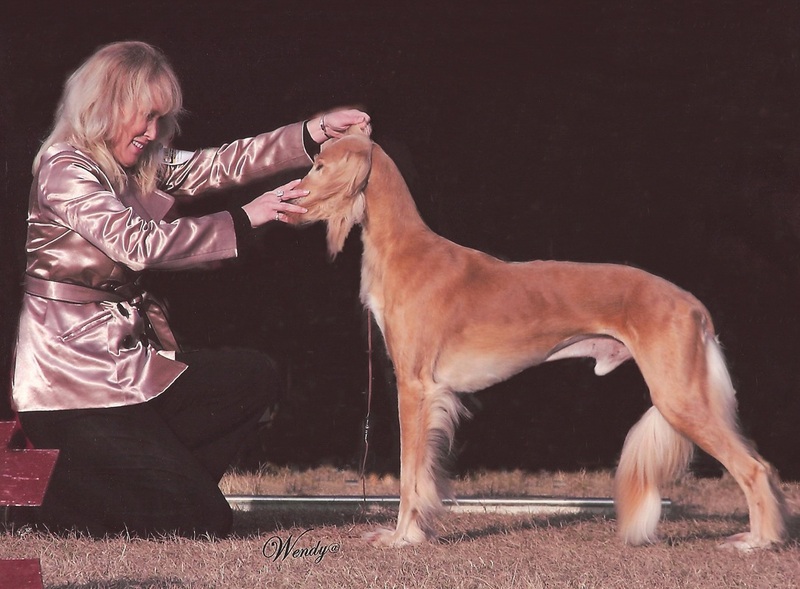 The first, to Ch Bazaar's Absolutely Abigail, RA, has two champions so far, including our Pepe. The second, to Jap. Ch Bark & Dives JP Ishtar Haj of Khiva, was whelped in Japan at Bark & Dives. 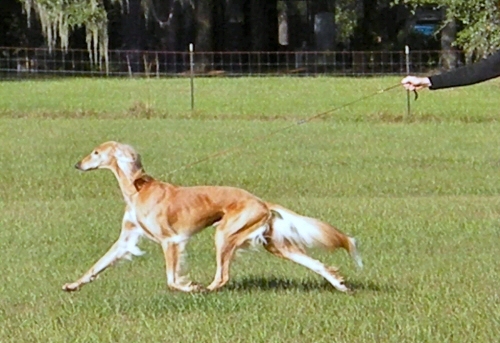 Prophet was bred by Valerie and Barbara Hamilton, Khiva Salukis.